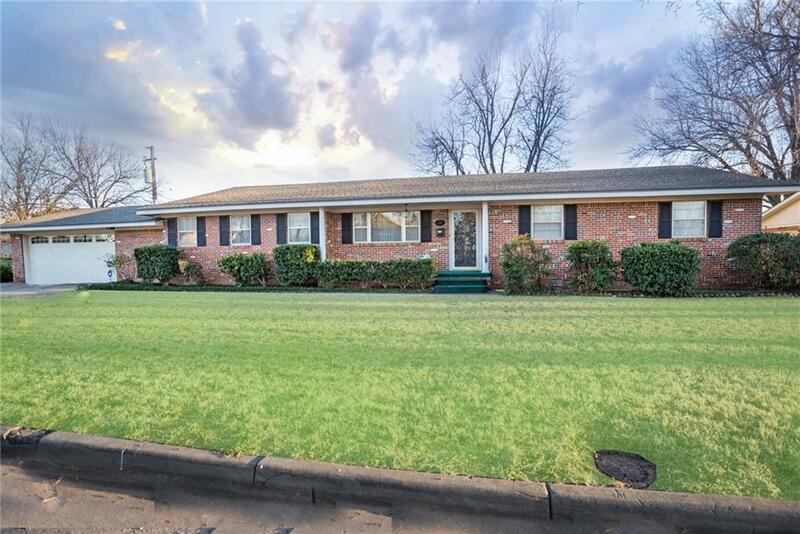 110 W Harrison Street, Mangum, OK.| MLS# 856859 | CENTURY 21 Altus Prestige Realty, Inc.
Great curb appeal! This beautiful brick home has 2,304 sq ft, 3 bed, 2 1/2 bath, 2 living areas. The large dining room features a gorgeous chandelier and opens to the living room. The family room features a gas fireplace with a brick hearth and a large built in ash wood bookcase. The 2 full bathrooms have been updated with granite counter tops and tiled showers. The kitchen highlights white cabinetry, gray counter tops, built in electric stove and oven, dishwasher, side by side refrigerator and a snack bar. Large laundry room with washer and dryer, folding table, and storage closets, The office has an adjoining half bath. The large screened in back porch is perfect for entertaining. The back yard is completely fenced with a new wood privacy fence on three sides and a brick fence on the 4th. In ground cellar. Large established trees.